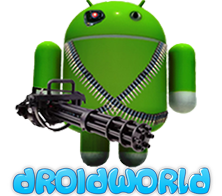 DROIDWORLD takes several steps to prevent unauthorised disclosure or modification of sensitive information. Our payment processor handles billions of dollars every year for forward-thinking businesses around the world and is certified to PCI Service Provider Level 1. This is the most stringent level of certification available in the payments industry. PCI COMPLIANT: The DROIDWORLD Payment system meets Payment Card Data Security Standards (PCI DSS). 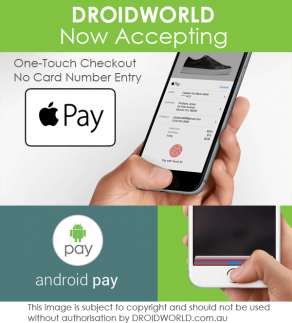 DROIDWORLD accepts payments without ever actually handling the credit card data. That means that your card information is never stored/seen or processed by DROIDWORLD directly. Credit Card data never passes through our own servers. DROIDWORLD does not manually process payments. All requests on our website are forced to use HTTPS Secure Sockets Layer (“SSL”) encryption to ensure encrypted communications. DROIDWORLD has a site-wide Certified 2048-bit SSL Certificate to meet PCI Compliance obligations. DROIDWORLD’s credit card payment processing provider is Stripe, a global leader in payment processing technology. Stripe’s software, systems and procedures have been assessed and certified to PCI Data Security Standards. SECURITY AUDITS: Stripe has been audited by a PCI-certified auditor and is certified to PCI Service Provider Level 1. This is the most stringent level of certification available in the payments industry. SENSITIVE INFORMATION: All card numbers are encrypted with AES-256. Decryption keys are stored on separate machines. None of Stripe’s internal servers and daemons are able to obtain plaintext card numbers; instead, they can just request that cards be sent to a service provider on a static whitelist. Stripe’s infrastructure for storing, decrypting, and transmitting card numbers runs in separate hosting infrastructure, and doesn’t share any credentials with Stripe’s primary services (API, website, etc.). STRIPE: Stripe’s investors even include PayPal’s co-founders – you can be sure that you are in good hands when shopping @ DROIDWORLD. DISPUTE TRANSACTION: If customers have an issue or concern with their purchase/transaction, DROIDWORLD is here to help. Please let us know your concerns and we will promptly assist you with your enquiry. You can do this by opening a Support Ticket via our Contact portal.